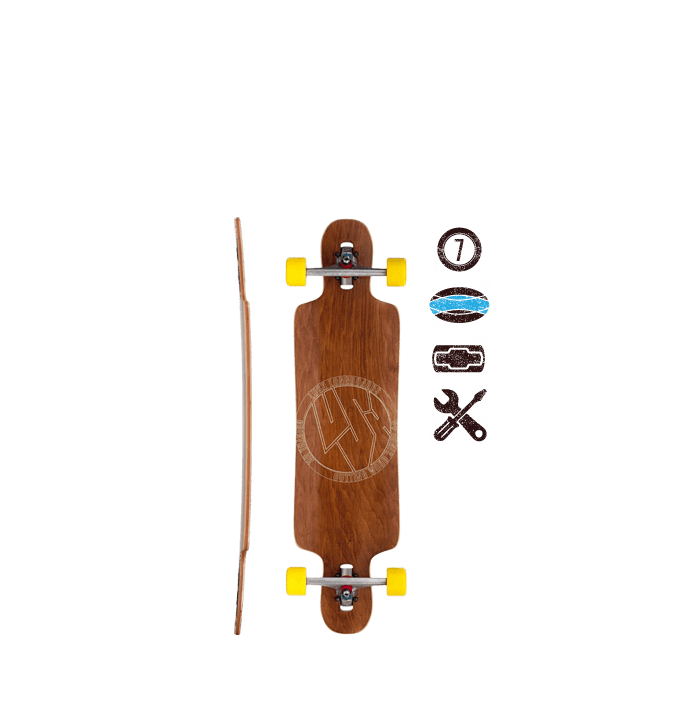 Longboard for Beginners | Lush "Freebyrd" Drop-Through | 37.5" x 9.75"
The Freebyrd is a symmetrical cutaway drop through longboard, aimed at the beginner. It features a cambered profile and a nice responsive flex. 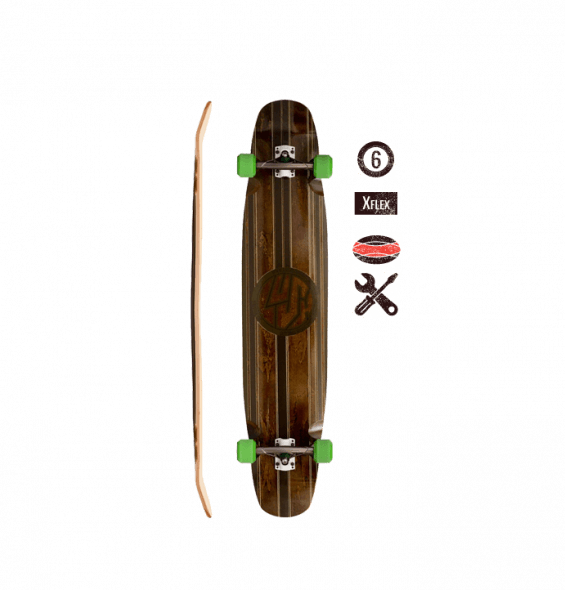 The flex and the drop-through trucks work together to create a comfortable cruiser that will also do a bit of dancing and sliding if you want. 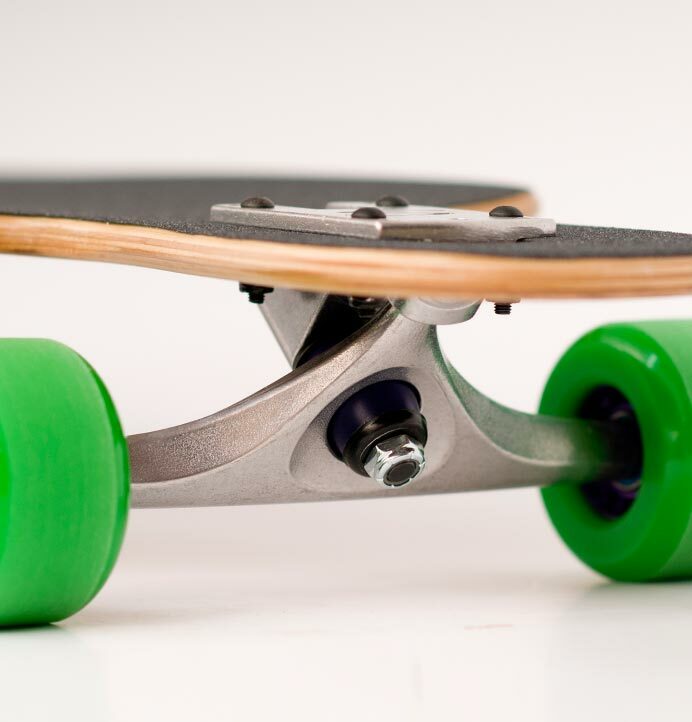 The Freebyrd features drop-through truck mounting. 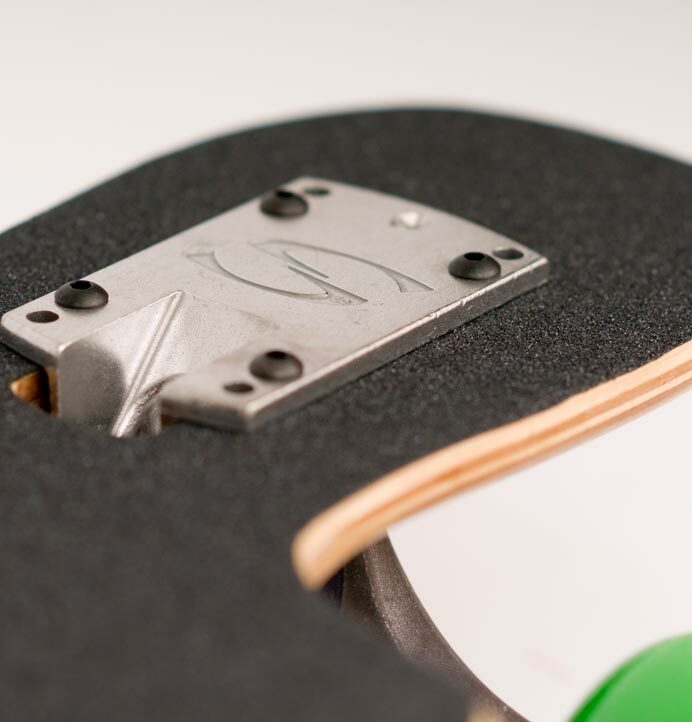 This means that the trucks are mounted through the deck via the top of the truck baseplate, rather than on the bottom of the baseplate like a regular skateboard or longboard. 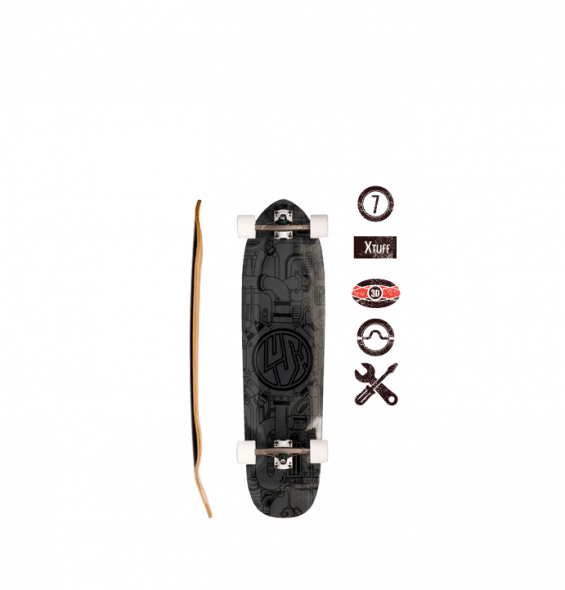 All these characteristics make the Freebyrd a perfect beginner longboard. 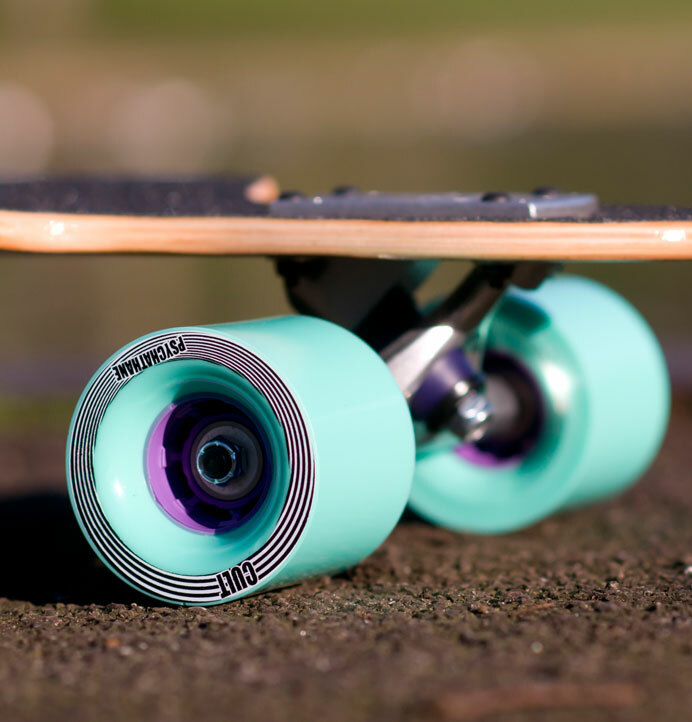 It’s great for learning longboarding basics and learning to slide. 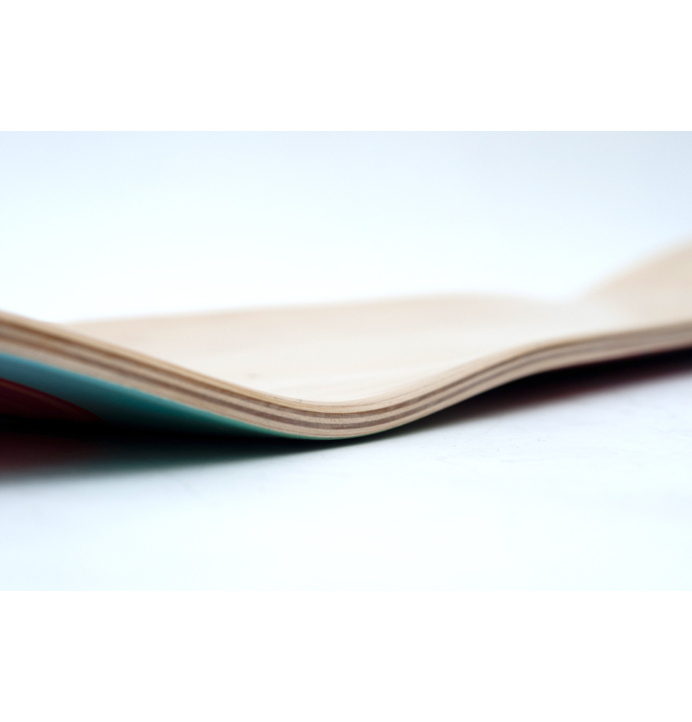 Learn more about drop-through longboard decks here. 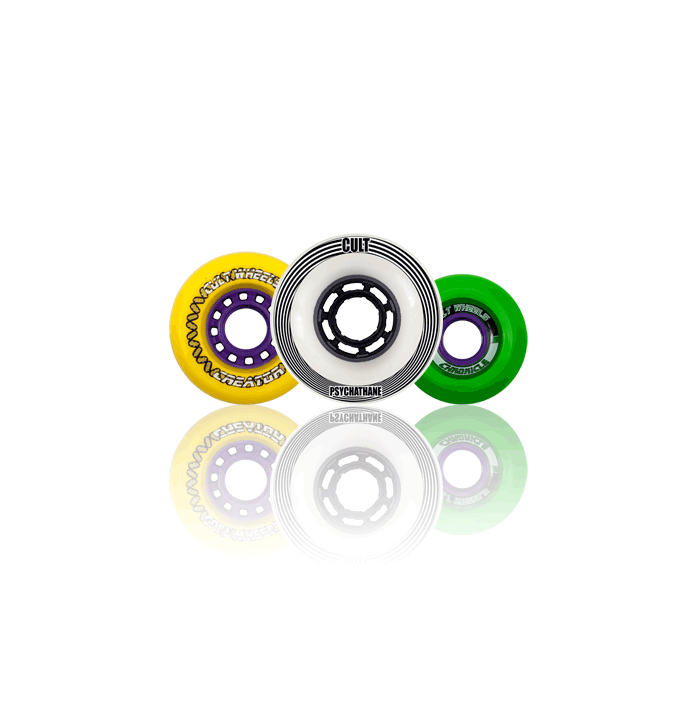 We build the Freebyrd up with Sabre Trucks, bushings and bearings, and Cult Wheels. 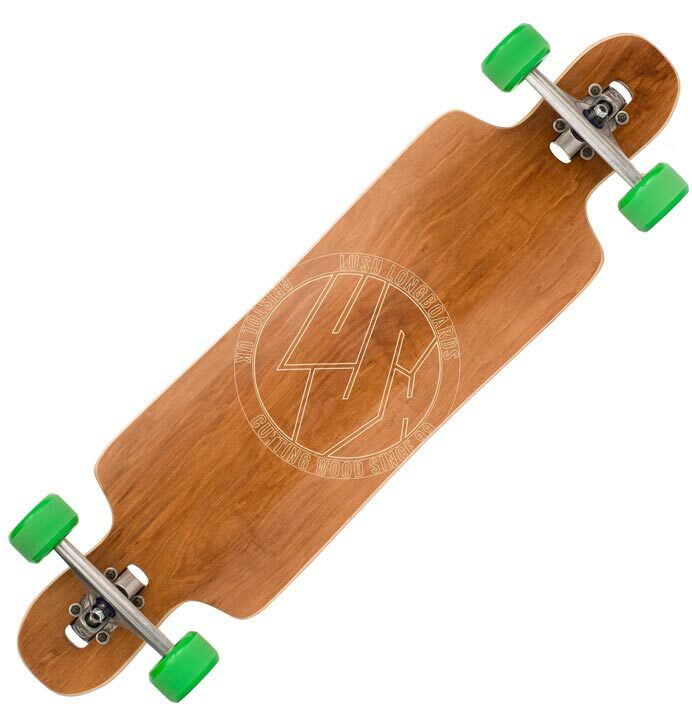 Many cheaper drop-through longboards out there come with no-name or inferior brand undercarriage. 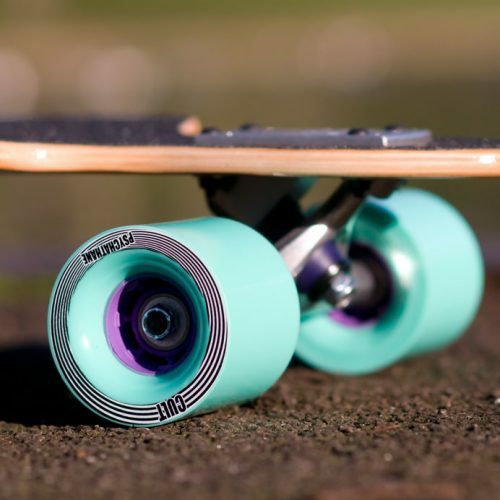 If we’re honest, it’s this running gear – especially the trucks – that really makes the difference to how well a longboard skates. 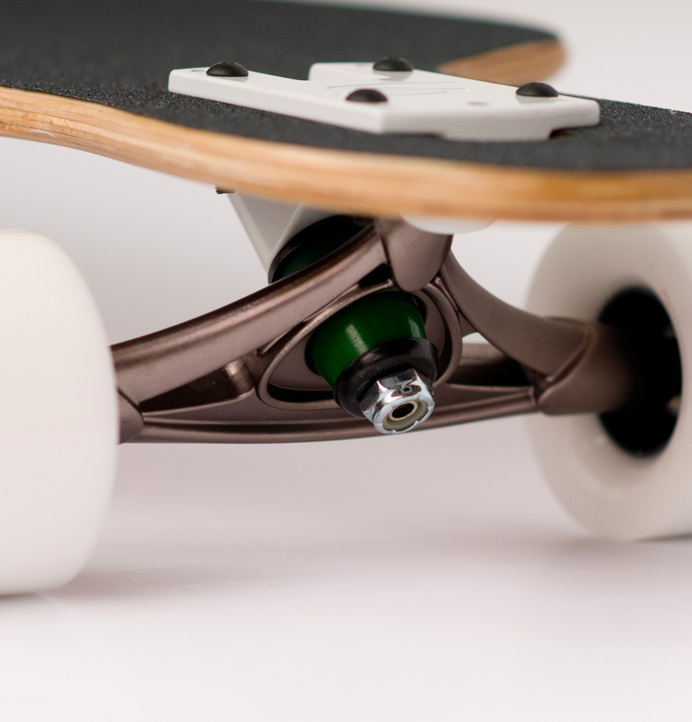 With the Freebyrd, you’re getting a premium setup – it’ll feel awesome underfoot, straight out of the box. 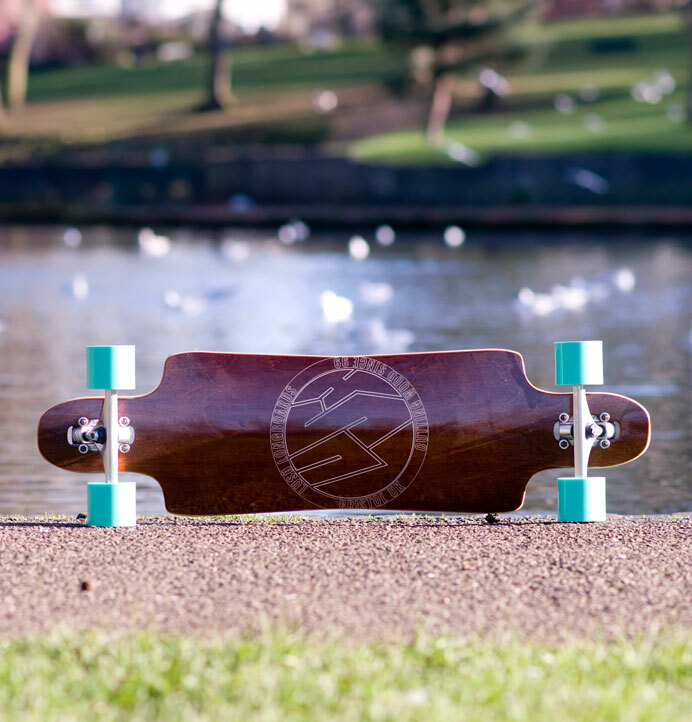 The Freebyrd is a great all-rounder, perfect for nipping to the shops, learning to slide or just cruising around. 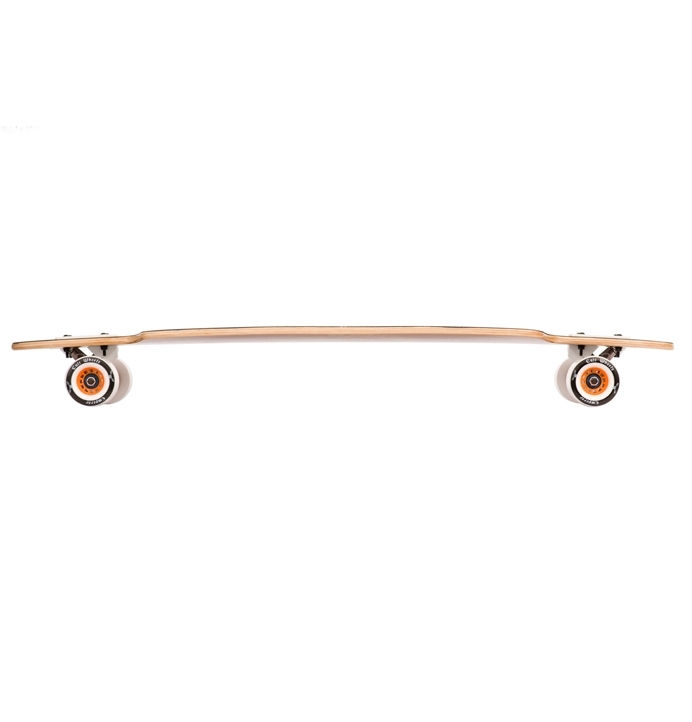 It has a flexy ride thanks to the cambered maple construction, giving great energy return from carving turns and a smooth ride over rougher road surfaces. 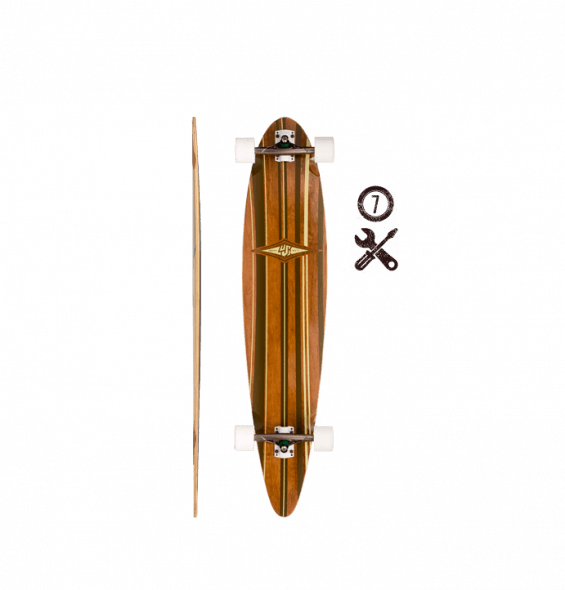 If you’re looking for a drop-through cruiser – you are in the right place! 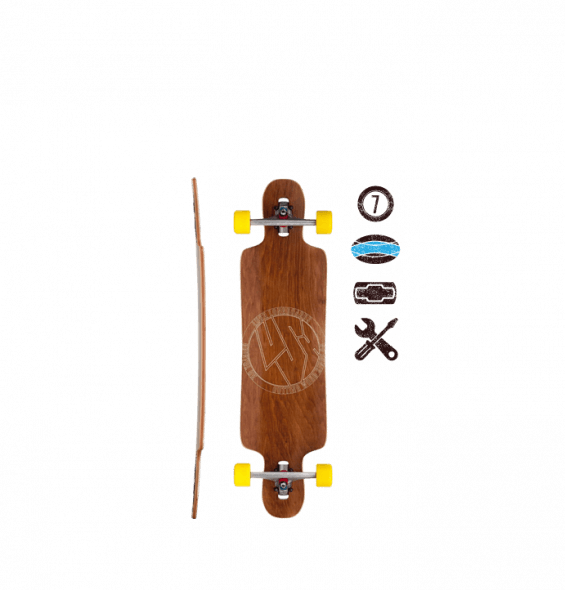 Question: Is this board good for learning to slide? - Yes! This is a great first place to start learning to slide. 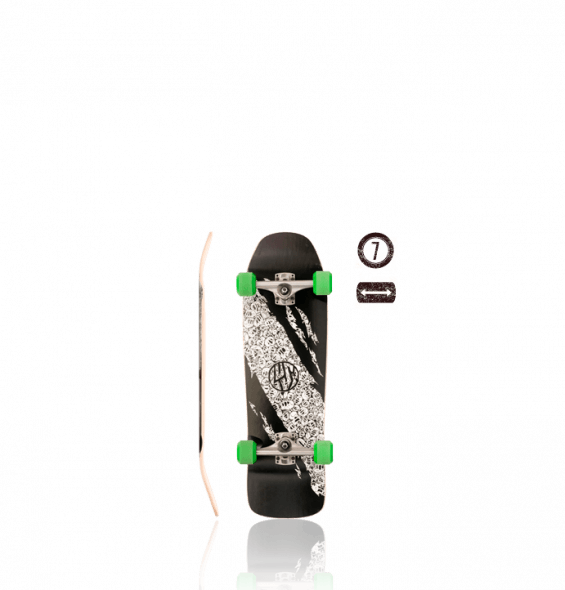 Once you;ve got it down you might want something with a bit more concave and a stiffer deck - so if you can stretch to it, a Symbian 3D is worth looking into. 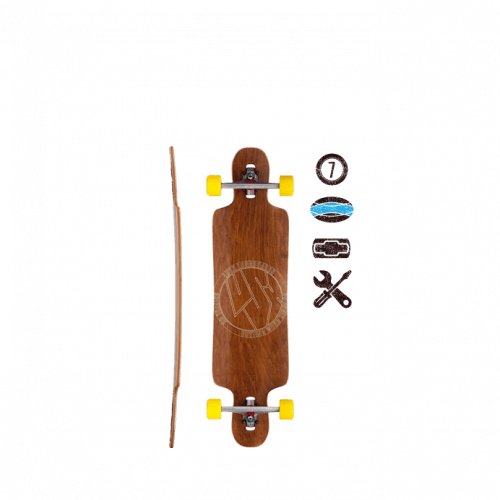 Question: Can this deck be topmounted? - Yes, of course. 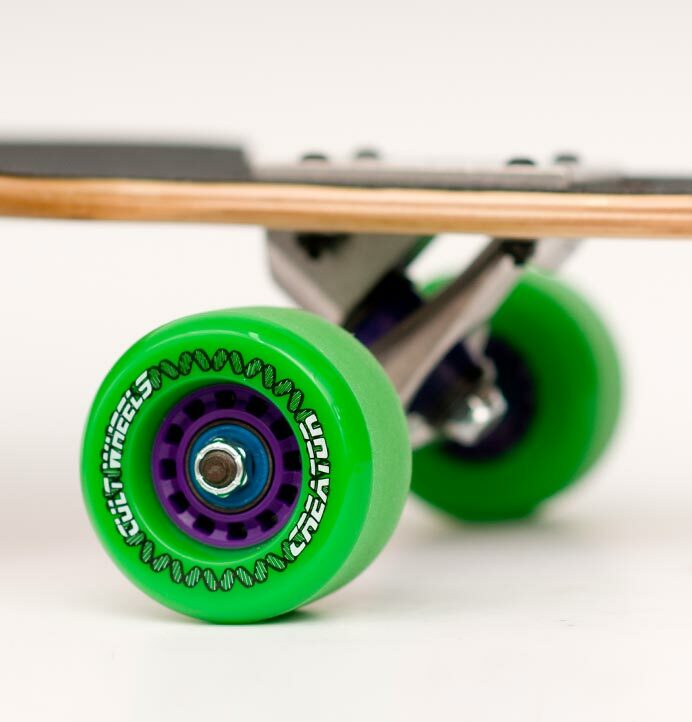 This is a great option if you want to put some bigger wheels on like Orangatang Kegels or Cult Raptures for a smoother ride. 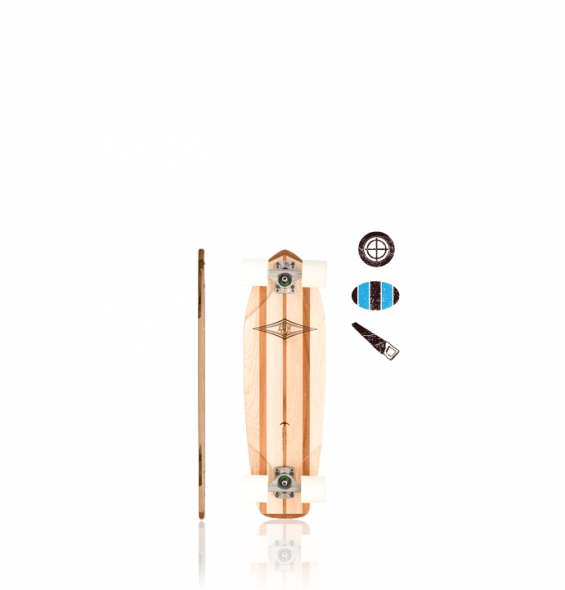 We haven't really tested this out with that many setups, so watch out for wheelbite! Question: Can you use the Freebyrd for dancing and tricks? 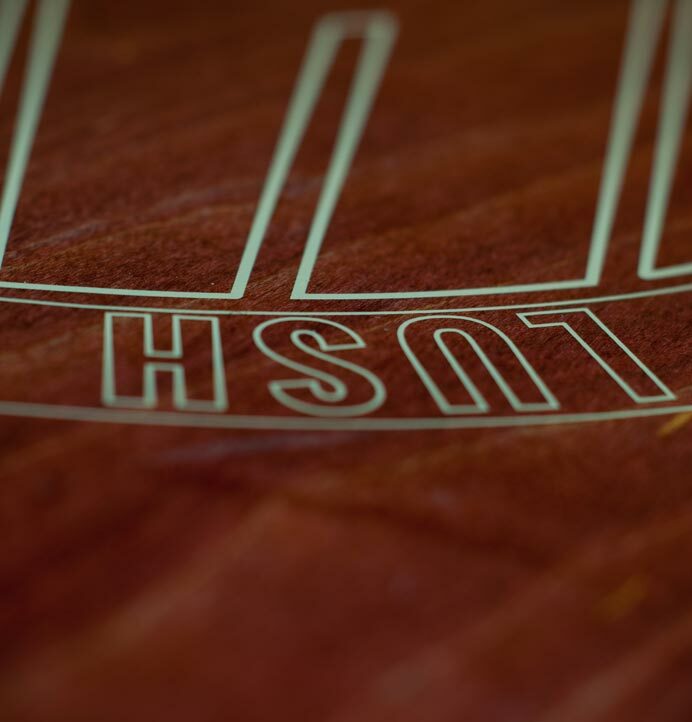 - Yes, there is enough of a nose/tail to flip the board if you want to. 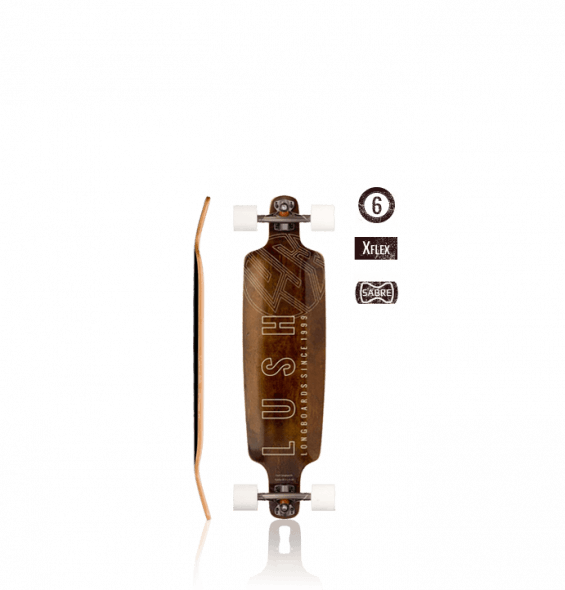 But if you're really stoked on this kind of longboarding, we recommend that you check out that the Symbian 3D, which features a much stronger construction and more aggressive kicktails. 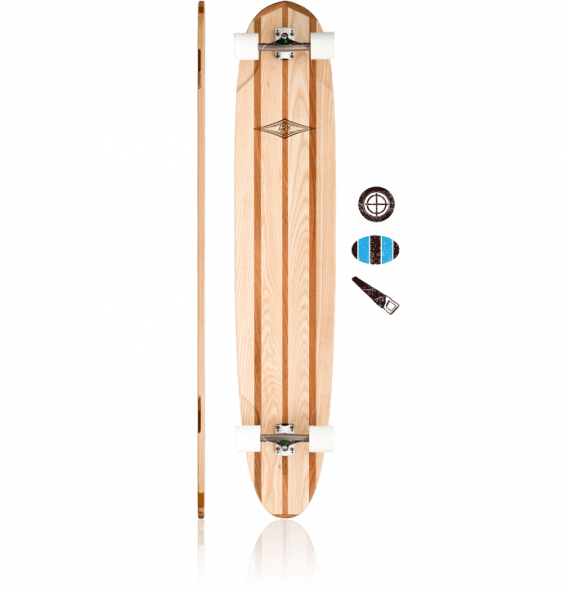 Question: I am considering the Lush Freebyrd as a complete beginner for cruising and carving and attempting to improve my surfing. The Samba is out of my budget, and I'm not interested in learning to slide. How turny is the Freebyrd as standard and what upgrades can I buy to improve it's carving performance? 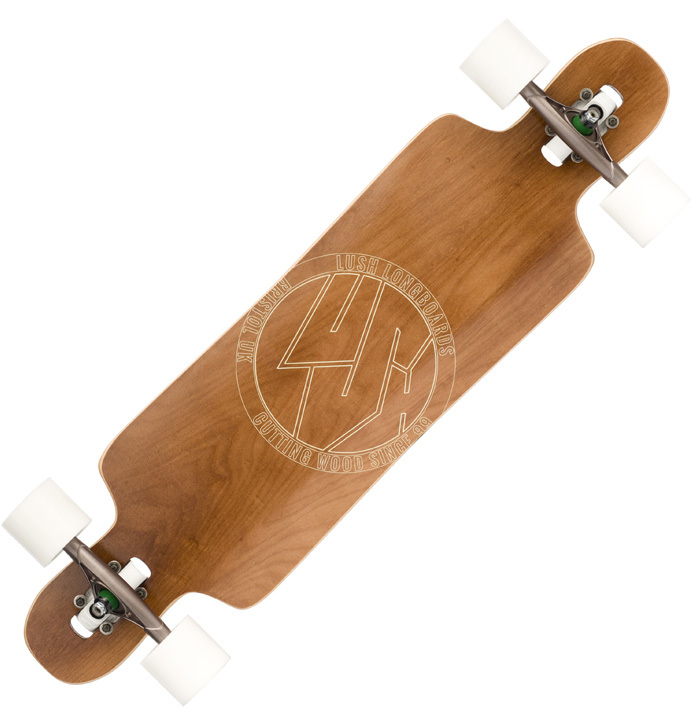 - The Freebyrd is a great longboard for beginners - it's designed to skate as well as it can for those looking to buy a cheap longboard setup. 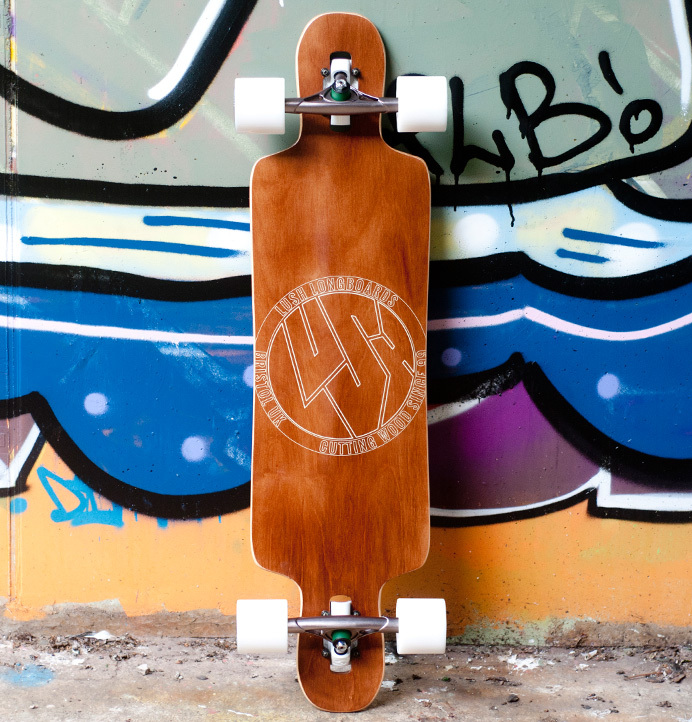 We've found over the years that the most important thing on a cheap longboard complete is the trucks. 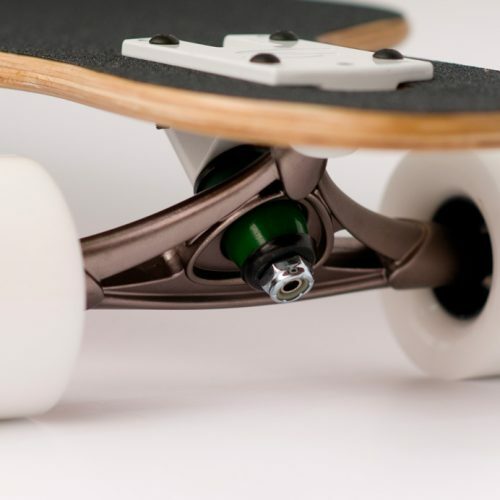 It's the trucks that give you that carving feeling - more expensive trucks tend to come with higher-specced bushings, closer tolerances on the pivots, and a refined geometry. In our opinion, if you're really looking for the best bang for you buck, trucks should be the last thing you skimp on. 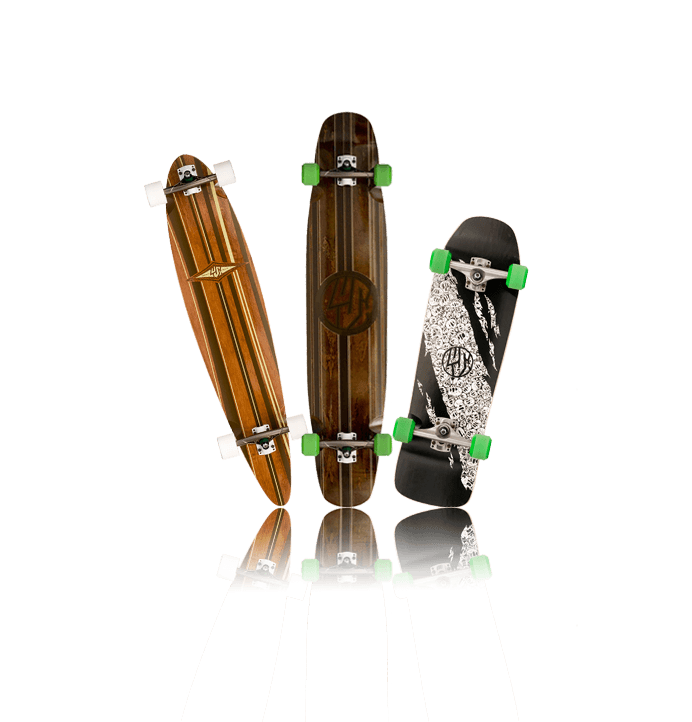 With this in mind, it's really worth checking out the Pro and Elite setups, which come with come with Sabre trucks as standard. 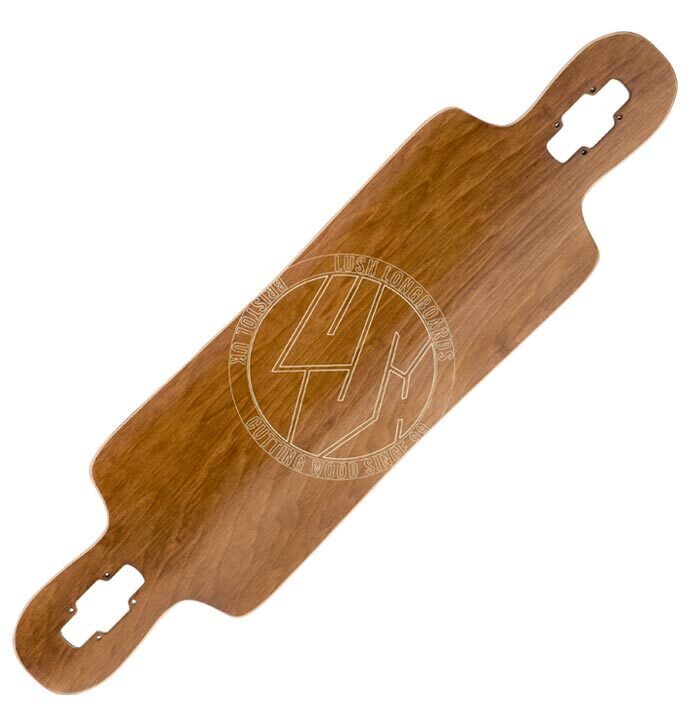 Whilst this isn't going to compete with the Samba in terms of out-and-out carving performance, you would not believe the difference that this will make compared to other cheap longboards out there! Question: Hey, Just wondering, how much does this complete set up weigh? Looking for a light board to start out on. Cheers! 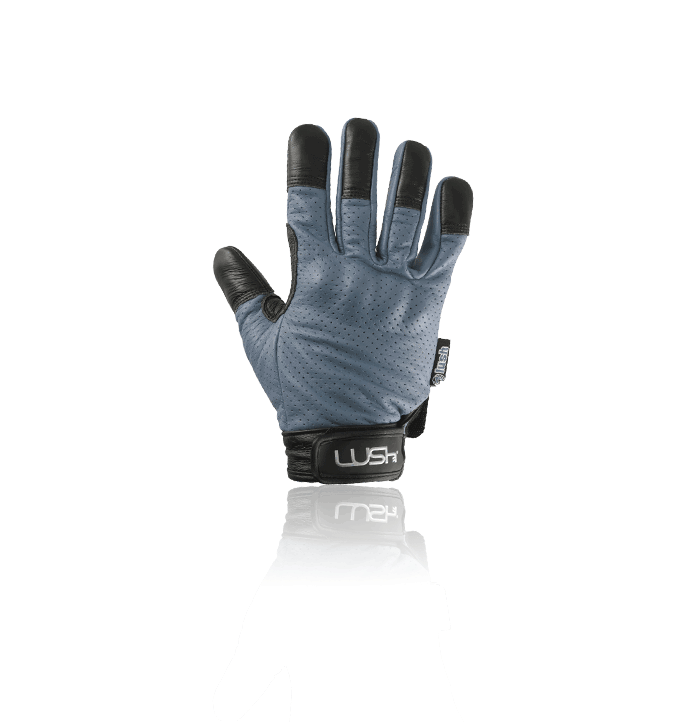 - The complete Freebyrd comes in around around 3.1-3.2kgs.